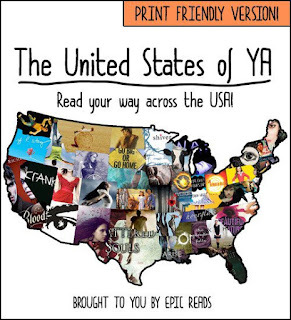 I love, love, love this cool map that shows off the settings of some of the great YA books out there! What's your home state? Do you recognize all of the books? What's the one on Mississippi. That's where I live and it's one of the books I don't recognize! LOL! Melinda, I don't know! That is probably the only one I don't know either! I believe the cover for the Mississippi book is to "Beneath a Meth Moon" by Jacqueline Woodson...?" Win a Copy of The Madness Underneath! The Mediator Series Lives On!